This topic contains 4 replies, has 3 voices, and was last updated by mmmonkey 3 weeks ago. I want to install the Dejitter mod on my SuperCiC’d PAL 1Chip-01 SNES, since my display is constantly losing sync in 60Hz mode. The available installation instructions all cover NTSC boards only. Additionally I want to use it together with my SuperCIC chip. Anyone able to help? Thanks in Advance! Here’s the info for installing de-jitter on PAL SNES with SCIC. It’s been a while since I installed one of these, hope I haven’t forgotten anything. 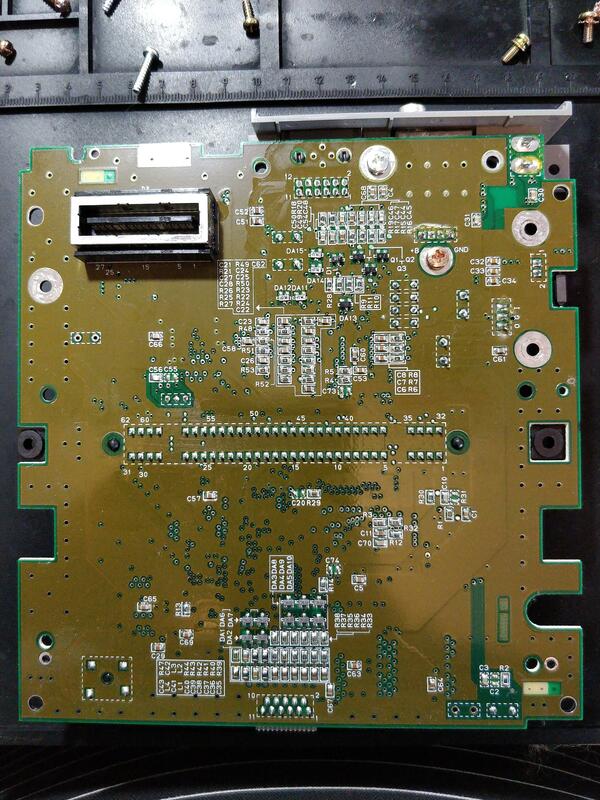 Remove X1, C3, R28 and D1 from SNES motherboard. Connect 5v and GND to regulator output or any other 5v and GND points. Connect CSYNC_i to pin 7 of S-RGB chip or any via connected to that pin. Yay, thanks a lot. Looking forward to try that next weekend. SCIC mode goes to pin 111 of S-­CPUN. Do I keep this connection parallel, so SuperCIC mode goes to 111 and CLK_SEL? EDIT: connected it parallel, that was the only way it made sense, thinking about it. Thanks for the help, everything works perfectly! Aha, just found this whilst looking at what to do with my 1chip Super Famicom, it has a SuperCIC board installed and a borti designed RGB bypass with CSync and I’ve been looking for how to install the dejitter board I purchased a while back. Will crack open my console and see if this will work with also.